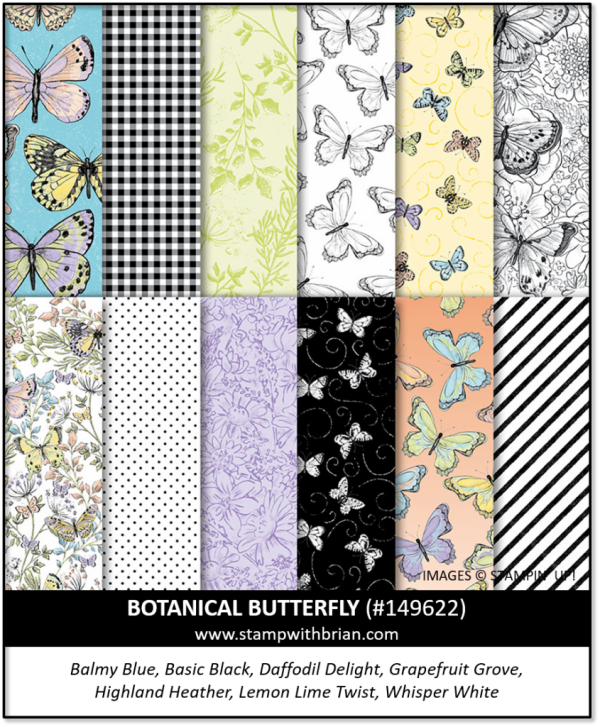 Many of my Stampin’ Up! team members (not only those with blogs) share their gorgeous projects in our team’s Facebook community – there’s such amazing and inspiring creativity in this group! I’m always excited when my team’s blog hop rolls around, though, because I get to share some of their amazing work with you. I’m just as excited to see their projects as you are, and I am proud to share them with you. Welcome to InKing Royalty’s December Blog Hop! This year’s Blog Hop themes are inspired by popular songs – this month’s song is “Pretty Paper, Pretty Ribbons.” As you can guess, our Blog Hop today is filled with projects that are inspired by beautiful paper and beautiful ribbons – how clever! We are excited to share our creations with you today! After you read my post, I hope you’ll hop over to the next person on the list at the base of this post. Thank you for stopping by today. I hope you’ll hop along to the next stop on the blog hop, Julie DiMatteo at The Paper Pixie. There’s lots of inspiration to be found in this group – and you don’t want to miss it! WOW! This is beautiful. That paper is even Pritzker than I thought. You created a masterpiece. Gorgeous use of that pretty butterfly paper and the ribbon with the sentiment is masterful! Love how you showcased the DSP and pulled the purple out! That’s how you’ve inspired me, Windy! I can pull the purple right out of any paper that has just a touch of purple in it. ♥ Thanks! I think you nailed this theme perfectly. I love the colors. Love your card Brian. It is fabulous. You used ribbon! I just love it. The DSP and colors are really pretty! This is stunning. What great papers! Now, on my list for sure! Love this card and you are spot on with the sentiment. There just aren’t many people that “I Love You” works for in my life but “You Are Loved” is a sweet step back way to convey that you care. Thanks for the inspiration. By the way I just did your frog on the unicycle card in class and it was a huge hit! I love everything about your card; it is simply beautiful. I love the designer paper, coordinating colors used , the layering layout and especially the ribbon treatment. You hit a home run. What a gorgeous color combination! You are right about the paper – a must have if ever there was one and that ribbon pack – I don’t know how anyone could NOT buy it. You made a card that everyone would appreciate receiving and it looks like it was really fun to put together. Have as beautiful a day as today’s card is Brian. Beautiful!! Love the patterned papers. I am loving the Hoghland Heather with this! Wonderful colors together! Pretty card! Thanks, Linda! I don’t normally reach for purple, so this was fun for me, too. Soooo pretty ! Beautiful colors and that paper is awesome . As I said before that the ribbon is even prettier in the real. I have to leave now ….I am hopping on to the next one !! I love the theme of this blog hop and everyone did an amazing job of following your lead. Your card is very lovely with all the layers and the beautiful DSP and ribbon. So pretty! Enjoy your day! Gorgeous, I tell ya, it’s gorgeous! Very pretty! I wasn’t sold on this DSP at first, but the way you layered it with solid cardstock and diagonally striped paper is awesome. So pretty! I used this paper too on the hop. I think it is the prettiest paper I’ve ever seen! The pages are gorgeous! I love the colored pages as much as the black-and-white ones. Perfection. Thanks, Pam! Beautiful card !! I love it !!! Yet again you have shown us how amazing your skills are!! Absolutely perfect use of the ribbon to bring the whole card together!!! Such a pretty card. The Organdy ribbon is perfect for overlapping with it’s shear material.